The case of Abbott Laboratories' (ABT) cholesterol drug TriCor is quite interesting. The drug has been a blockbuster, and it has been under patent protection for decades. That's right, decades. Now, Abbott has managed to seal a deal with generic-drug maker Teva Pharmaceuticals Industries (TEVA) that would stave off generic competition for TriCor -- yet again -- until March 2011 at least. How did Abbott manage to keep TriCor under patent protection all these years? The story begins back in the 1960s, when the drug was discovered by the French company Fournier. It began selling the product in Europe in 1975, and Abbott licensed it in 1998. The drug's underlying patent had expired by that time, but Abbott, which earns more than $1 billion in annual sales from the drug, found a way to patent it again ... and again ... and again. In 1999, a generic drug company that was later acquired by Teva was about to introduce a generic version of TriCor. Abbott sued for patent infringement and the two have been in court ever since. To protect its patent, Abbott used a tactic favored by many pharmaceutical companies in their scrambles to keep drugs under patent protection: Abbott patented a new formulation for TriCor by changing the type of pill (from capsule to tablet) and the dosage. In doing so, it prevented pharmacists from automatically switching prescriptions for TriCor to a generic version. Teva's plans for the generic version were derailed and this whole scenario repeated itself in 2002. While Abbott denied any wrongdoing, it did agree to pay $184 million to settle litigation brought by state attorneys general and private entities alleging antitrust and unfair competition claims in connection with the sales of TriCor. The SEC filing from Monday that disclosed the settlement with Teva didn't disclose many details. What we know is that the deal involves the TriCor 145-milligram tablet and that it postpones the sale of a generic version of TriCor until March 28, 2011, at the earliest. Fournier S.A. also agreed to the deal. Also, under certain defined circumstances, Teva may not receive rights until July 1, 2012. Meanwhile, last year, the Food and Drug Administration approved TriLipix, a new branded Abbott drug that is similar to TriCor but is approved for use in combination with statins, a popular class of cholesterol-lowering drug. So now Abbott is scrambling to switch patients to TriLipix from TriCor before generic versions of TriCor appear. If you think that something smells funny here, you're not alone. While Abbott makes essentially cosmetic changes to TriCor that allow it to somehow convince the FDA that it's a new drug which warrants new patent protection, the ones who are left to foot the bill for the more expensive, branded drug seem to be, as always, the patients and the taxpayers. Abbott is not paying Teva to delay the introduction of a generic version, Kelly Morrison, a company spokeswoman told DailyFinance. "There is no payment/commercial agreement as part of this -- this is a pure licensing agreement," she said, adding that "this allows Abbott to obtain certainty for our product and avoid risk and costly litigation around our patents." But what Teva gets out of the deal to induce it to agree to this arrangement is not clear. 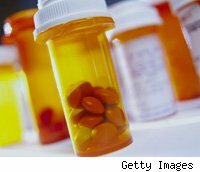 Many pharmaceutical companies have paid generic makers over the past decade to delay generics. The Federal Trade Commission doesn't look kindly on such "pay-for-delay" deals: The practice ends up costing U.S. consumers $3.5 billion a year -- $1.2 billion of which is paid by the government, FTC chief Jon Leibowitz said in June. Questions of generics aside, some doctors are growing skeptical about the benefits of TriCor, with published studies showing that it failed to definitively reduce heart attacks and related heart diseases, while possibly causing kidney problems. Abbott defends the drug's efficacy and safety. Abbott has been able to fend off most problems when it comes to TriCor -- to the delight of its shareholders. But perhaps it's time someone took a closer look not just at generic delaying practices but also at FDA's rulebook when it comes to issuing patents on barely modified drugs. The market could have had a generic version of TriCor since 1999. At $1 billion a year in sales, that's a big chunk of savings that patients, insurers and taxpayers have missed out on.